After being delayed for a week, we finally got some news on upcoming Nintendo games! 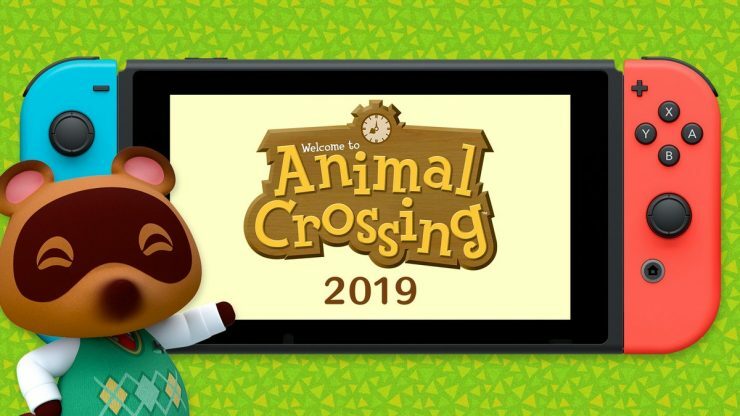 Although some pieces of news were announced during the week’s delay, the new Nintendo Direct still packed a lot of info on a lot of games in just over half an hour. 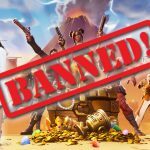 In case you missed it or need a refresher on everything that was announced, here’s everything we got to see today. If you’d like to watch the Direct in its entirety, you can see it here. 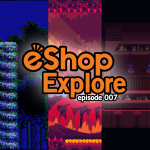 –Kirby’s Extra Epic Yarn is an enhanced port of Kirby’s Epic Yarn for the Wii. In the 3DS version, Kirby will have access to new abilities along with a speed mode and new minigames. The game launches in 2019. –Mario and Luigi: Bowser’s Inside Story is coming to 3DS with an additional game mode titled Bowser Jr’s Journey. This game releases January 11, 2019. -The original Luigi’s Mansion is getting remade for the 3DS featuring a new co-op mode. If you and a friend both own the game, you can join each other’s game as a ghost-like Luigi. If your friend doesn’t own the game, you can still both play boss battles together when the game releases on October 12. –Yo-Kai Watch Blasters is getting a free update called Moon Rabbit Crew on Sept. 28 featuring a way to link save data between both versions of the game as well as new Yo-Kai and bosses. –Luigi’s Mansion 3 (working title) will release in 2019! 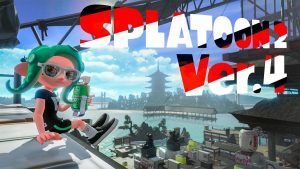 –Splatoon 2 Version 4 was announced with a very anime-style trailer that showed off new gear, new weapons, and a new map. Version 4.0 launches today (9/13) with Splatfest updates and the first Kensa Collection. Version 4.1 launches in early October with a new map and the second Kensa Collection plus new weapons. –Mega Man 11 is releasing on October 2, and a demo is available for download now (surprise…). 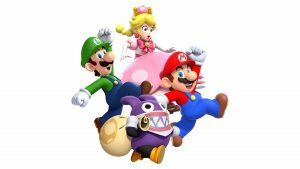 –Mario Tennis Aces is getting an update on Sept. 19 featuring a number of new characters including Birdo, Shy Guy, Paratroopa, and Petey Piranha with more characters continuing to be added until June. There will also be a new co-op challenge mode with limited time missions that can be completed for alternate outfits and color schemes. -A number of Capcom arcade fighters are being released in a bundle on the eShop including Final Fight, The King of Dragons, Captain Commando, Knights of the Round, Warriors of Fate, Armoured Warriors, and Battle Circuit. Online play will be available for games in the Capcom Beat ‘Em Up Bundle which releases on Oct. 18. -As the rumors suggested, New Super Mario Bros. U is coming to the Switch with new content as New Super Mario Bros. U Deluxe. Nabbit and Toadette are new playable characters, with Nabbit not taking damage from enemies and Toadette able to power up into Peachette. 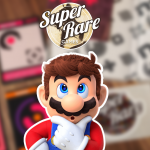 New Super Luigi U will also be included when the game launches January 11, 2019. –Katamari Damacy Reroll comes to the Switch in Winter 2018 as a remaster of the original Katamari Damacy game featuring Joy-Con gyro controls and HD rumble as well as multiplayer battles. –Nintendo Switch Online, which will launch on Sept. 18, was featured with some details including a full list of NES games that will launch with the service. Switch Online members will get “special offers” which will be clarified in the future. You can also purchase Joy-Con inspired NES controllers that are compatible with all NES games that come with Switch Online. You can pre-purchase the controllers for $60 per pair on Nintendo’s website starting Sept. 18. –Pokemon Let’s Go Pikachu and Eevee will feature secret techniques that only your partner Pokemon (Pikachu or Eevee depending on which version you buy) can learn. These secret techniques will let you get past certain obstacles in your path, travel across water, or even fly. Also, petting your partner Pokemon in handheld mode will let you change your Pokemon’s hairstyle. 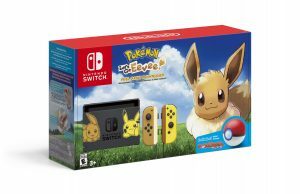 Pokemon Let’s Go will launch on Nov. 16 along with special themed Switch console bundles as well as the Pokeball Plus! –Diablo III launches Nov. 2 featuring amiibo compatibility and an armor set in the likeness of Ganondorf. 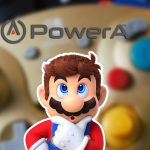 –Super Mario Party launches Oct. 5 featuring the classic Board Game mode as well as a four-player co-op mode called River Survival. The game contains 80 brand new minigames and an online minigame mode. -Game Freak is working on a brand new RPG called Town (working title) where the entire game takes place in one village, and releases in 2019. –Cities: Skylines is available now on the Switch including the After Dark and Snowfall expansions. –Daemon X Machina launches in 2019 featuring customizable characters and mechs, as well as online features where up to four people can play together at once. 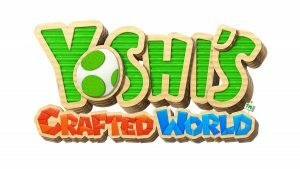 –Yoshi’s Crafting World will finally release in Spring 2019. The game centers around flipping the world and its parts to reveal new paths through the game. In today’s trailer, we say that in at least some levels, you’ll be able to flip the course once you reach the end of the level to reveal a whole new set of obstacles on your way back to the start. We’ve been seeing trailers for this game for a long time now, so it’s nice to see that we’ll finally be able to play it soon! -Asmodee Digital is bringing some card/board games to the Switch including Carcassonne (Dec. 2018), Lord of the Rings: Living Card Game (April 2019), and Pandemic (March 2019) with more on the way including Catan Universe and Munchkin. 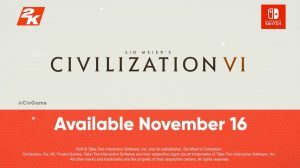 –Civilization VI releases Nov. 16. -Fox McCloud and the rest of the Star Fox crew appear in Ubisoft’s Starlink: Battle for Atlas. The new trailer showed of Wolf as well, so it appears we may get a Star Wolf battle somewhere in the game as well. –The World Ends With You: Final Remix releases Oct. 12 along with a new chapter titled “A New Day” featuring a new Reaper named Coco. –Xenoblade Chronicles 2‘s expansion, Torna: The Golden Country, releases Sept. 21 on its own. People who purchased the Xenoblade Chronicles 2 expansion pass can download it Sept 14. –Warframe is available Nov 20. –Just Dance 4 releases Oct. 23. –Fifa 19 releases Sept. 28. –Team Sonic Racing is out this winter. –NBA 2K19 is available now. –NBA 2K Playgrounds 2 comes out this fall. –Lego DC Super-Villians is out Oct. 16. 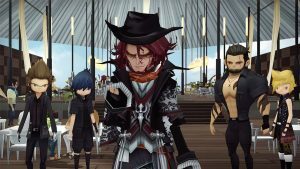 -Switch owners have a bunch of Final Fantasy games coming in the future including Final Fantasy: The Crystal Chronicles Remastered (2019) with online multiplayer and new areas, FFXV Pocket Edition HD (available now), World of Final Fantasy Maxima (Nov. 6), and Chocobo’s Mystery Dungeon: EveryBuddy (Winter 2018). Multiple classic Final Fantasy games will be available on a Nintendo console for the first time in 2019 including FFVII (note: The original version, not the upcoming remake), FFIX, FFX/X-2 HD, and FFXII The Zodiac Age. 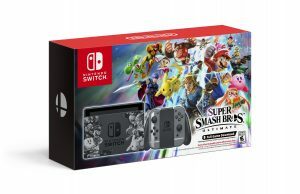 -A Super Smash Bros Ultimate console bundle is coming with a dock featuring several Smash Bros fighters on it. It also comes with a download for Smash Bros Ultimate and a pair of Smash-themed Joy-Cons. The bundle will be out Nov. 2 along with the new Gamecube controllers and adapters. 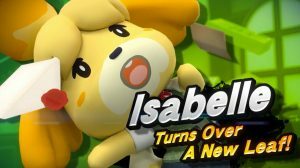 -Finally, Isabelle from the Animal Crossing series will join Super Smash Bros Ultimate as it’s 68th unique fighter and a new Animal Crossing title is coming to the Switch next year! 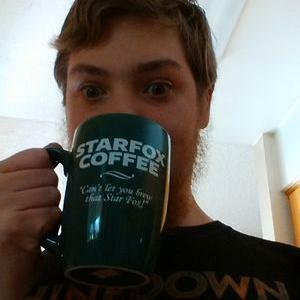 Posted in Press ReleaseTagged games, luigi, luigi's mansion, mario, nintendo, nintendo direct, smash bros.